During the AGM, BrewDog co-founder Martin Dickie said that work on the Australian brewery was ‘well underway’. “The riverside brewery in Brisbane will have a 25-hectolitre system and be operational by the end of the year,” he said. The announcement will come as a surprise for the Queensland Government, which last February announced that it had lured the maverick Scottish Brewery to Queensland, with BrewDog announcing its investment would total $30 million, including the construction of the “50,000hl, 3,000sqm brewing and canning facility”. 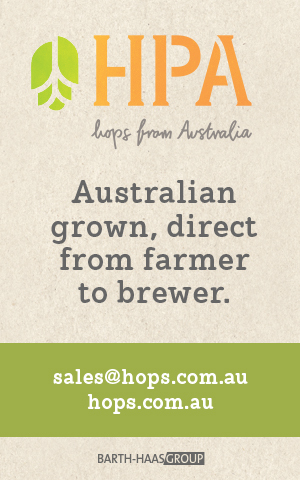 The brewer has confirmed on multiple occasions that its Australian brewery would be a 50 hectolitre brewery. No reason was given during the AGM for the scaling back in size of the Australian brewery, or for the apparent delays with the project. As recently as January BrewDog, which has received the active support of the Queensland State Government and Brisbane City Council, confirmed that its plans were on track. BrewDog Global Head of Marketing Sophie More then told Brisbane’s South-East Advertiser newspaper the brewer was aiming for completion by May. Construction did not begin on the site until late December last year, despite BrewDog announcing in late May 2018 that it had full approvals and construction would be starting in July. At that stage the building was “due to be completed by the end of 2018, and the first Brisbane-brewed BrewDog beer should be released in the first quarter of 2019”. In February, Brews News contacted the Queensland Department of State Development, Manufacturing, Infrastructure and Planning for an update on the projects given the lengthy delay and indications that BrewDog had scaled back its Brisbane plans. A spokesperson told Brews News the department was in regular contact with BrewDog in relation to the status of this project. “The department has not been advised of any variation to plans for this project,” the spokesperson said. The Minister for State Development, Manufacturing, Infrastructure and Planning has been contacted in the wake of BrewDog’s weekend announcement. BrewDog’s plans for an Australian Brewery were included in its Equity for Punks V crowdfunding campaign, launched in October 2017. While quickly achieving its crowdfunding target of £10 million, the campaign only reached half of its ‘stretch goal’ of £50 million. This was despite several extensions over the course of a year. The campaign eventually closed in October 2018, having raised £26.2 million. The capital raising was slated to fund the company’s ambitious international expansion plans, including Australia. The prospectus advised that if the full £50 million was raised, five million pounds was earmarked for the Australian brewery. The document carried the disclaimer “If we raise less than £50 million, we won’t be able to do all of these things, but they are listed in (roughly) the order of priority”. Australia was listed second last in a list of 10 planned projects. Asked at the time for clarification about its commitment to Australia in light of that condition, a BrewDog spokesperson said the brewery would go ahead regardless of the amount raised. “We announced our intentions set up in Australia earlier this year and we are committed to building a brewery in Australia, with plans to begin construction in early 2018. Reaching the stretch goals in Equity for Punks V will only enable us to invest more quickly in getting the brewery production ready,” the spokesperson said at the time. Since then, BrewDog has launched a range of additional initiatives, including over the weekend purchasing the struggling USD30 million, 100-hectolitre Stone Brewery Berlin for an undisclosed sum. BrewDog advertised for a head brewer in February 2018, though the position was never filled and late last year the brewery’s three Australian staff departed the business within weeks of each other for undisclosed reasons. Over the weekend, BrewDog launched a sixth Equity for Punks campaign, this time to raise £7 million. This campaign also has a stretch goal of £50 million. The crowdfunding prospectus listed the incomplete Australian project alongside its active breweries, advising that funds raised in this round would be going towards a London BrewDog hotel, a brewery in Asia and BrewDog bars in Europe. Also featured on the BrewDog website is a page teasing an Australian Equity for Punks campaign. Under the heading, Equity for Punks. Coming Soon, the page says the Brisbane brewery is ‘coming along well’. Contacted for further details about the Australian campaign, Head of Marketing Sophie More confirmed that a UK campaign had launched, but said nothing was confirmed for Australia yet. “In terms of Equity for Punks Australia – we haven’t announced anything on this. Let me know where you heard it!” she said.